Perlite ore is formed by magmatic processes, and water is entrapped in the perlite matrix over geologic time periods. These microscopic pockets of water give perlite ore it’s unique ability to “pop” under proper high-temperature conditions. All perlite ore contains very low or non-detectable crystalline silica contents in comparison to other industrial minerals. In its unprocessed state, it is usually light gray in color. 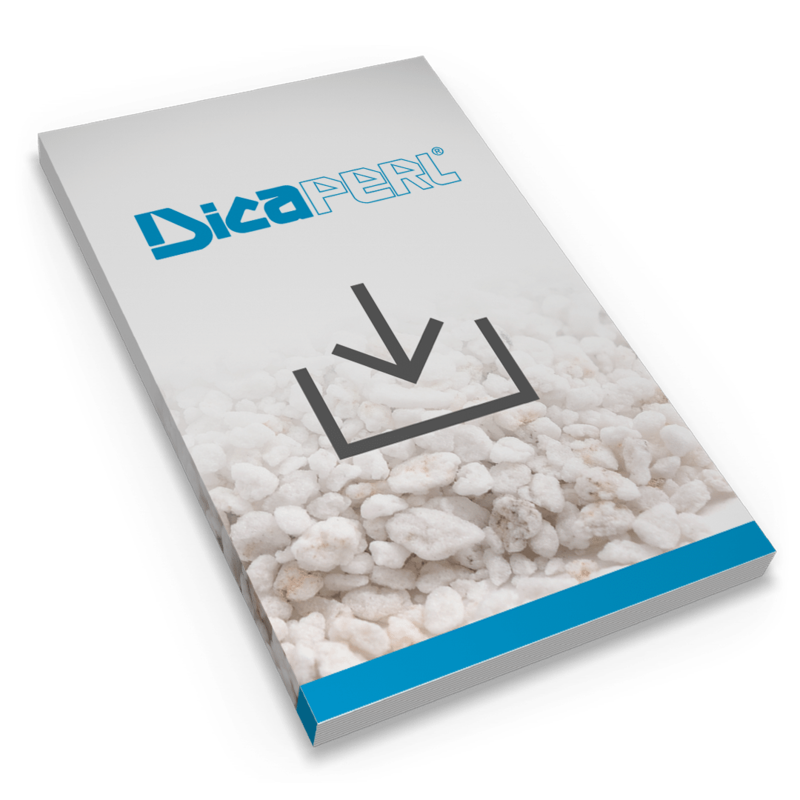 The expansion and insulating properties of perlite ore make it suitable for use in high-temperature applications, particularly in the steel and foundry industries. Expanded or unexpanded granular ore forms of perlite are added to molten metal pouring ladles to cleanse the metal by coagulating impurities. It does not smoke and no fumes are produced. When mixed with exothermic powders, it can prevent shrinkage cavities in ingots and casting. It is most often used as a lightweight filler for these applications because of its availability, cost, and admirable properties. It is used in the manufacture of refractories where the average temperature does not exceed approximately 2000F. If it exceeds this temperature, perlite is used as a backup insulating layer. Perlite ore is used as a cushioning agent to compensate for the expansion of crystalline silica. It minimizes casting defects, and cleaning room costs are reduced. Our Socorro deposit location has proven reserves of over 10,000,000 tons and is believed to be the deepest known commercial perlite deposit in the world. These characteristics give the expanded and processed Socorro ore unmatched quality and consistency. In addition, we own and operate both the perlite ore mining locations and the processing and expansion facilities, allowing us to maintain a much higher level of quality control and ensuring volume and supply for our expanded perlite customers.